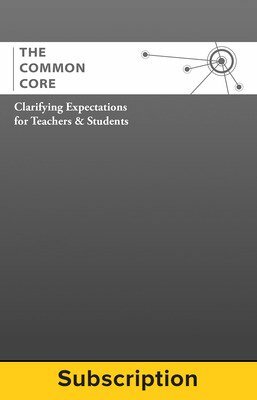 McGraw-Hill has proudly partnered with Align, Assess, Achieve LLC to distribute The Common Core: Clarifying Expectations for Teachers and Students. These easy-to-read flipbooks and eBooks are an indispensable resource for educators seeking to isolate and understand the grade level expectations of the standards. Because each guide's focus is on a single grade (or select range of grades), the roles of classroom teachers are clearly defined, ensuring a more seamless transition. Each flipbook or eBook unpacks the grade appropriate standards for English Language Arts, Math, and Literacy in History/Social Studies, Science, or Technical Subject for each grade K-8 and for grade pairs 9 & 10 and 11 & 12. Each eBook contains electronic copies of the titles specific for the grade or grade range.